Last night’s 33rd Annual Walter Kaitz Foundation Dinnerconcluded another exciting Diversity Week this year in New York City for many from the internet and television family. Together, the industry raised nearly $1.7 million, which not only exemplifies the deep commitment that pay TV creators and internet service providers share for diversity, but the pride that goes along with representing its millions of diverse consumers across the country. Known for being the most prestigious fundraising event in the industry, the Kaitz dinner is always a celebratory occasion where organizations are recognized for prioritizing diversity in their employee ranks, career development initiatives as well as through programming and other avenues of business. And Diversity Week is the perfect time to come together for such an event after several days of discussions, panels, and networking opportunities have taken place around implementing a diverse workforce and media culture. 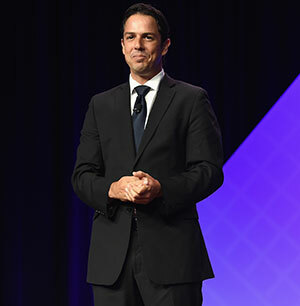 At this year’s dinner, hosted by CNN anchor Fredricka Whitfield, the industry paid tribute to diversity award honorees NALIP and A + E Networks. 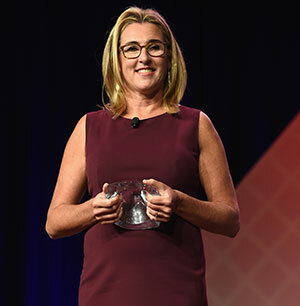 Accepting the honor for the diversity advocate award on behalf of NALIP was Executive Director Axel Caballero, while A + E Networks President & CEO Nancy Dubuc accepted the diversity champion award on behalf of the network. Read more about NALIP’s work in advancing minorities in the media and entertainment space, and about how A + E Networks is promoting diversity in its workforce and programming initiatives. Earlier in the week, other individuals were honored and recognized for their roles in influencing diversity during the NAMIC and WICT conferences. From the WICT Woman of the Year, Chief Programming, Content and Brand Officer Kathleen Finch from Scripps Networks Interactive, Woman to Watch Honorees Mary McLaughlin, senior vice president of Comcast Cable (Beltway Region) and Laura Gentile, senior vice president of espnW, to the numerous individuals named at the 2016 Most Influential Minorities in Cable breakfast, there is no shortage of teams throughout the media and entertainment arena working towards a future that features a myriad of diverse perspectives. Diversity Week has always held a very important place in our business. Not only does it help us grow and better compete in the global marketplace, but it also helps us better represent the diverse voices and faces of our vast consumer base. Until next year’s Diversity Week, we will continue to spotlight those who are promoting diversity as we work towards shaping a more inclusive tomorrow.